Start your Saturday with an uplifting march and end with the ultimate block party! Bushwick, get ready to celebrate our LGBTQPIA+ community! 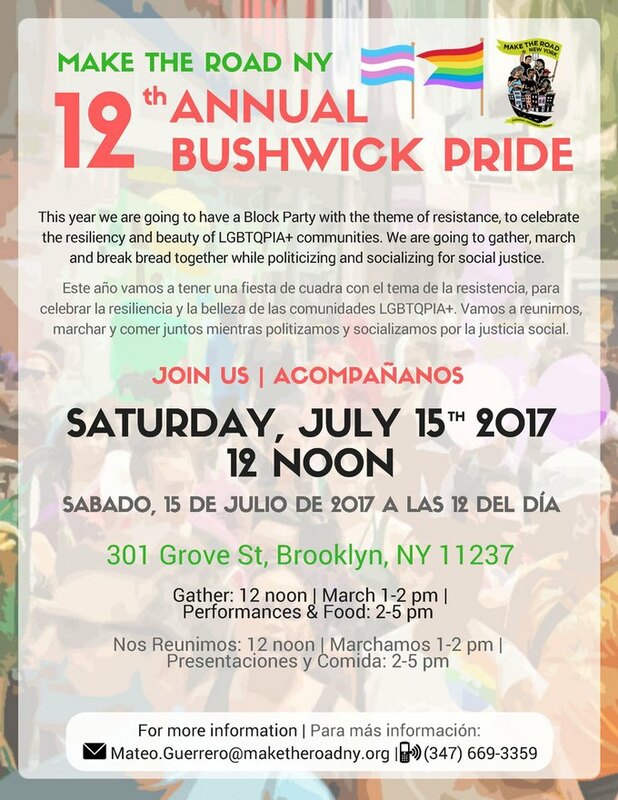 This Saturday marks the 12th annual Bushwick Pride march and block party, hosted by Make the Road New York (MRNY), TRIP Queens and GLOBE. The eventful day starts with an empowering march to Maria Hernandez Park at noon, followed by a block party on Grove Street from 12 to 5 p.m. with a stacked lineup of musical performances and fresh eats from the grill. Saturday’s performances include spoken word by Adilka Pimentel, hip-hop/rap artist Andre Vargas GNC, Emeka Ochiagha and Patches. Additionally, the salsa band Tony Maracas will be perform closer to the Myrtle Avenue corner throughout the day, and DJ Alex will set up shop in front of the Make the Road offices. 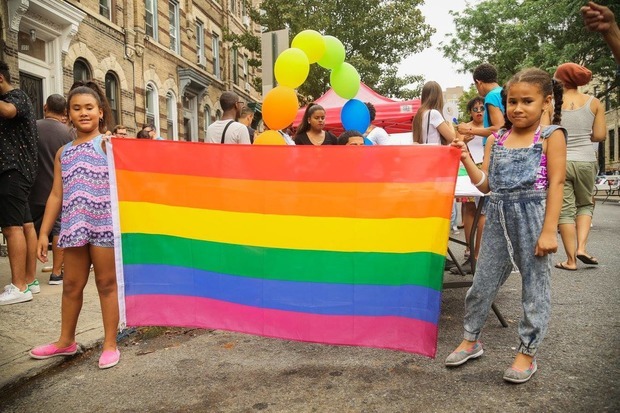 This year’s theme for Bushwick Pride is #Resistance as those participating will be celebrating the resiliency of local lesbian, gay, bisexual, transgender, queer, pansexual, intersex, asexual and gender nonconforming people of color. Between the current political climate and the recent attacks in Bushwick against two transgender women of color, the time is now—more than ever—to uplift one another and show some love. Given that MRNY’s line of work is to serve working class communities of color who face injustices and hardships, it’s not surprising Guerrero stresses this annual event is more about queer liberation than rainbows. 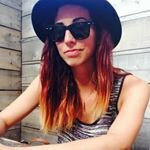 MRNY constantly brings neighborhoods together and leads events across New York boroughs with their specialized justice groups including GLOBE (based in Brooklyn) and TRIP (Trans Immigrant Project). Within the last month alone, they have organized a march/meet-up at the Queens pride parade, a one-year commemoration of the Orlando nightclub shooting and hosted their 6th annual Trans-Latina March in Jackson Heights, where hundreds of trans immigrant women and allies marched to support one another and demand respect, during a time where transphobic attacks unfortunately continue to occur. NYC Pride came and went, but Bushwick Pride is a true opportunity to support your LGBTQPIA+ community on a more intimate level and to enjoy a full afternoon of festivities while you’re at it. 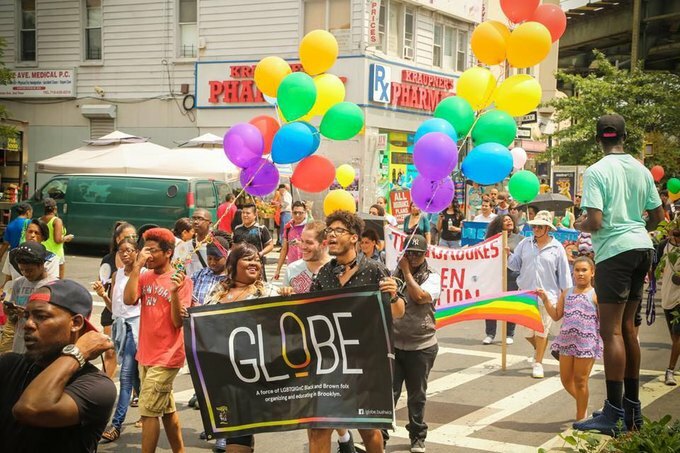 RSVP for Bushwick Pride here and view photos from last year. Everyone will first meet outside of the Make the Road office (301 Grove St.) at 12 p.m. to kickoff the march. The Block Party will occur from 2-5 p.m. on Grove Street between Myrtle and Knickerbocker avenues.